The 600cc Supersport segment has been the go-to class for riders looking to build up their track chops for many years. Quick, agile, and with more than modest power at the right wrist, 600s are great for refining your advanced skills out on the circuit. It’s disappointing that these potent track and canyon steeds haven’t seen full revisions as of late, but Team Green has given the 2019 Kawasaki Ninja ZX-6R a booster shot to keep it up to snuff. 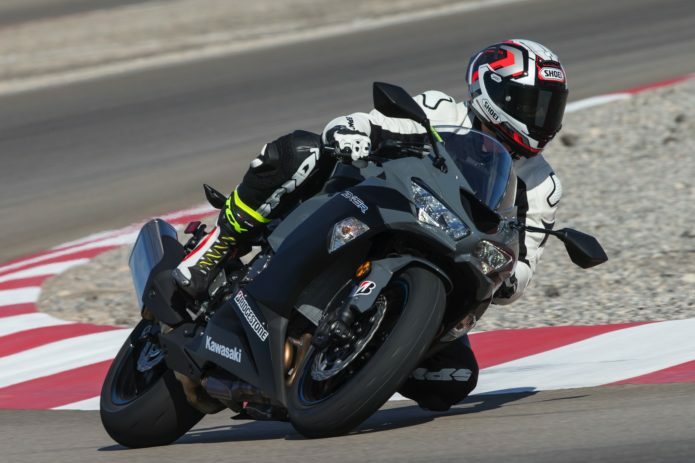 We headed to ride the 2019 Kawasaki Ninja ZX-6R ABS and non-abs models on the mean streets of Sin City, as well as the road course at Las Vegas Motor Speedway.